← April 6,2011: Off to the Airport for Everest! 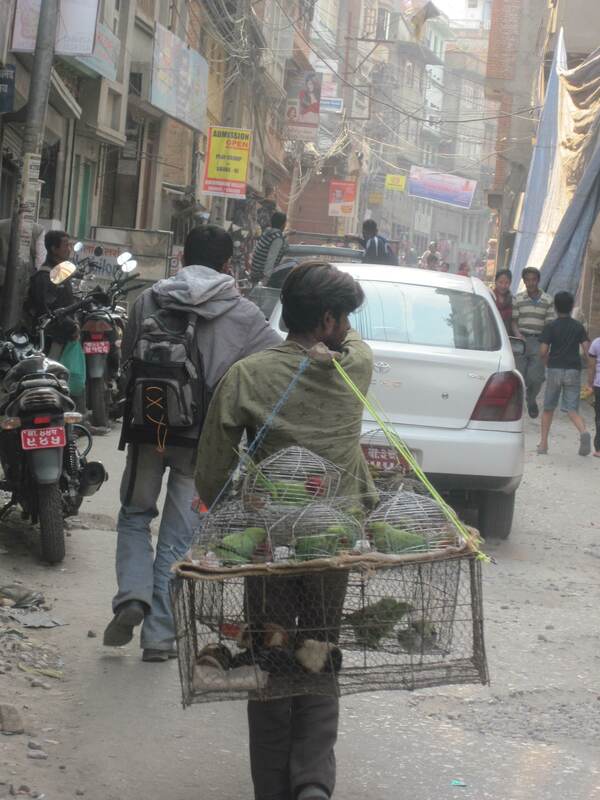 Kathmandu – S$%t hole or paradise? I arrived here with Stephanie on Wednesday lunchtime after a 4 1/2 hour flight from Singapore, and was greeted by a sweltering 29 degrees of dry burning heat. Even though this is approximately the same temperature as Singapore it felt much hotter due to lack of humidity. The visa upon arrival line went very fast at Kathmandu airport and before we knew it we had collected our bags (I had estimated I had 50kg of check-in baggage and it turned out I had 51kg, so so not a bad guess – 20kg of that is food and supplements so only 30kg of gear), and passed out into the chaos of taxi drivers and young men all tempting you to come and stay at their hotel. Even having spent the past 12 years visiting countries throughout the Asian continent on at least a monthly basis for work, Kathmandu still shocked me as it did the last time I visited here 12 years ago. The heat, pollution, terrible traffic, the incessant car horns, the stray dogs, people spitting everywhere, the filth, and in between all this a cow will be wandering down the street or standing in the middle of a busy intersection eating litter! 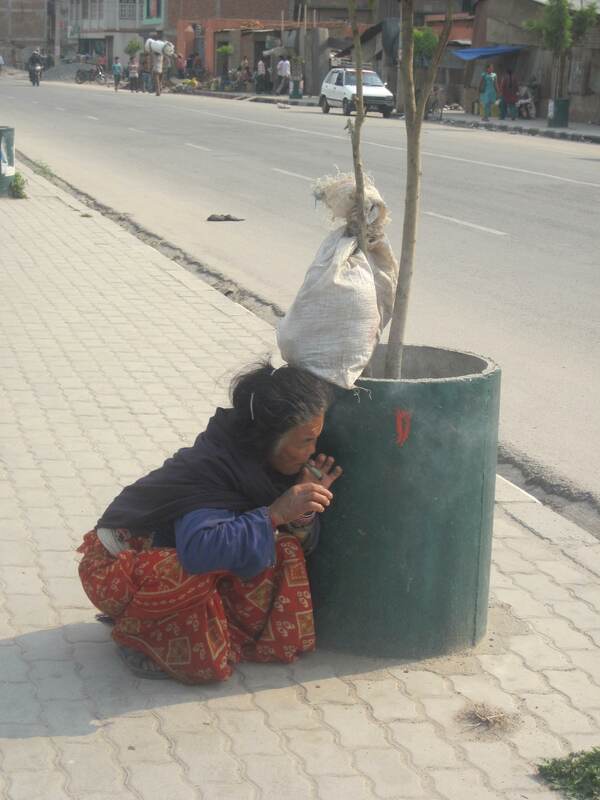 Your initial reactions would probably point to Kathmandu as being a major… S$%^ Hole!! However Kathmandu is all this and much more. It is a city of contradictions. As well as having the above ‘issues’, it also has some very friendly people, fascinating layout of streets /lanes and back alleys, all teaming with everyday life and street vendors selling everything from cellphones, BBQ corn, live goats and chickens, dead goats and chickens, fish (all unrefrigerated), amazing temples, and the colorful tourist district of Thamel which you can spends days wandering around. Here you can buy second hand books, outdoor clothing(mainly fake North Face), marijuana, copy CD’s and the latest DVD’s, art and knickknacks, foot massage and the list goes on… Kathmandu must also surely boast the highest amount of Coke and Pepsi advertising billboards of any city I have ever visited in the world! Experiencing this city leaves me feeling intrigued, fascinated, humbled and happy. Just walking down the street the multitude of different shaped faces you can see is a past-time in itself(a reflection of the melting pot of cultures living here). It really is hard not to be captivated by this amazing place. 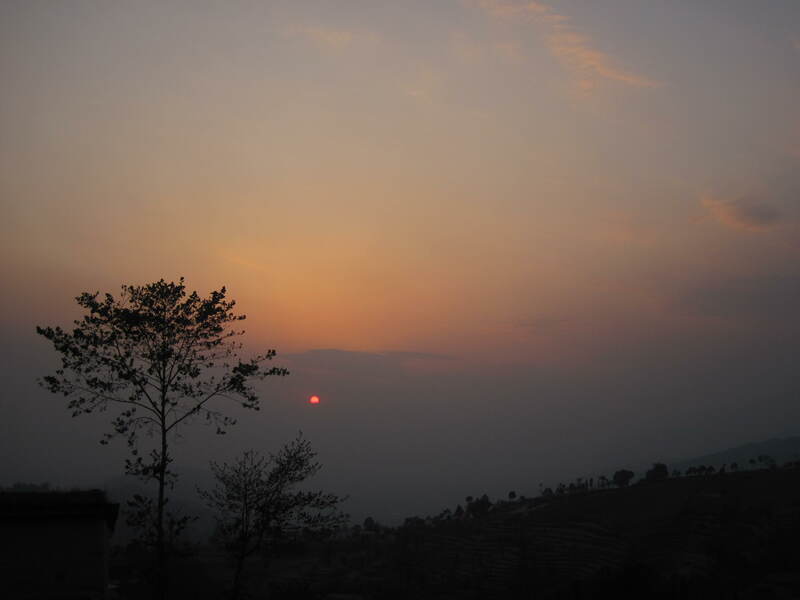 “The first thing Grant said to me when we landed in Kathmandu airport was not to be too shocked by what I see. Be prepared as we are in one of the poorest countries in the world. As we drove from the airport to Hotel Marshyangdi, I thought the roads were a little rough and dusty and the houses look pretty old and run-down and on the verge of collapsing but I wasn’t shocked. I thought to myself that Grant had once again underestimated my ability to suffer a little bit of hardship. But the reality of how poor the country is really hit me as we took a walk out from the touristy area of Thamel and into Kathmandu Durbar Square and onwards to the Monkey Temple. The roads were so polluted that there were occasions when I felt that I could hardly breathe. It was normal for everyone to spit anywhere, and I really mean anywhere. In the morning before we went to Durbar Square, Grant went to a really old gym on the second floor of a shop house and he told me that he saw a guy walk to a window and spat out without even looking if there were people walking right outside! I don’t know if it was my imagination acting wild but I thought I had felt a couple of droplets when I was walking past shop houses! I still can’t get over how drivers can maneuver their vehicles so well through narrow lanes and without hitting any stray animals or people on the roads. There are stray dogs everywhere and the streets are constantly hustling and bustling with activity. 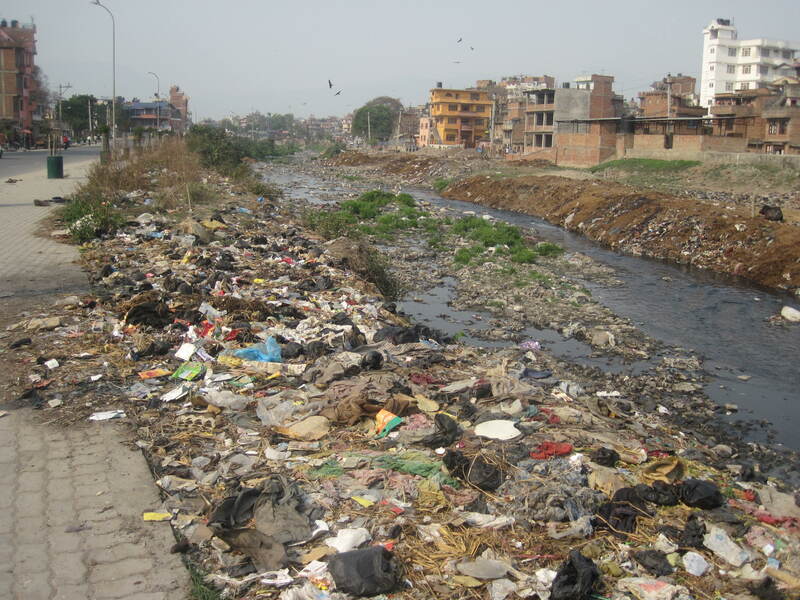 As we walked to the monkey temple we crossed past the filthiest river I had ever seen. The water ran black like thick oil which was basically raw sewage and the banks of the river were the towns rubbish tip. I saw a lady throw her bag of rubbish right in front of me into the river. Another old lady crouched down and lit up a huge joint and proceeded to smoke it as she wandered down in front of us. The biggest fattest pigs seemed to like the river and we saw them feeding on the rubbish and sleeping in it!I don’t think Grant has ever seen my mouth hang open so wide. 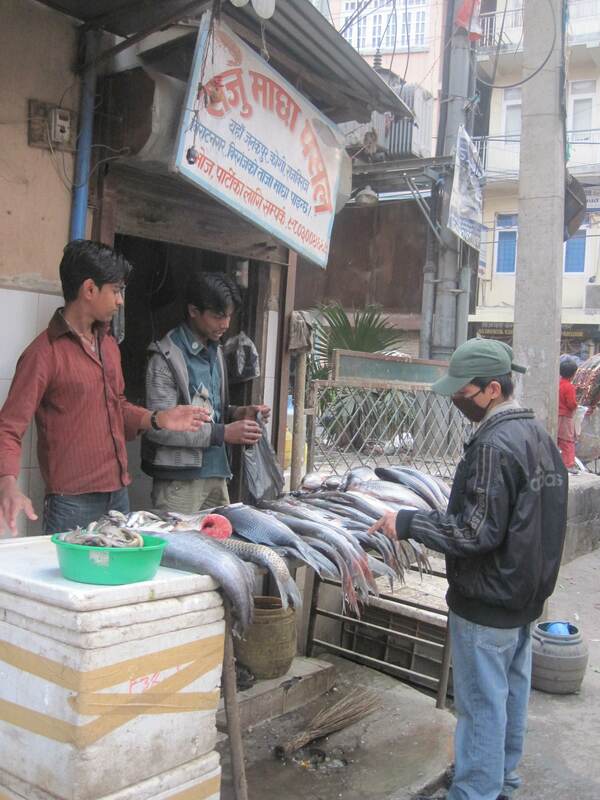 As we reached Kathmandu Durbur Square, we were swarmed by peddlers. The place was crazy. There was a concert going on and there were so many people. We felt like we had to get out of the place soon. We decided to head to Monkey Temple which took us an hour to walk there. It took us longer as we got lost along the way. Monkey Temple was much nicer and serene. It is on top of a hill and the paranomic view was breath-taking, [Grants note: partly also because the haze and pollution made it hard to breathe!]. It would have been much nicer if it wasn’t so hazy from the pollution. We spent some time there, watching the monkeys being chased by the stray dogs and watching people turn the prayer wheels. It was also sad to see many beggars and street children asking for money. It has been a real humbling experience for me to be in Nepal. The fact that there are power cuts for several hours every single day, the water is filthy and can’t be drank straight from the tap and the extreme poverty has made me realize how spoilt I am. When I’m in Singapore, I take it for granted that I can turn on the air-conditioning in my house any time of the day. With the turn of a tap I can get clean water. The transportation system is extremely efficient and safe. The roads are clean and nice to drive on (though the drivers can be so rude and inconsiderate). I can eat at any of the food stalls and restaurants without having to worry about getting sick. I am never hungry. In fact I eat far too much and then complain that I am fat and need to lose some weight. The people in Nepal live very hard lives. They make me feel guilty for being so spoilt, materialistic and whiny. 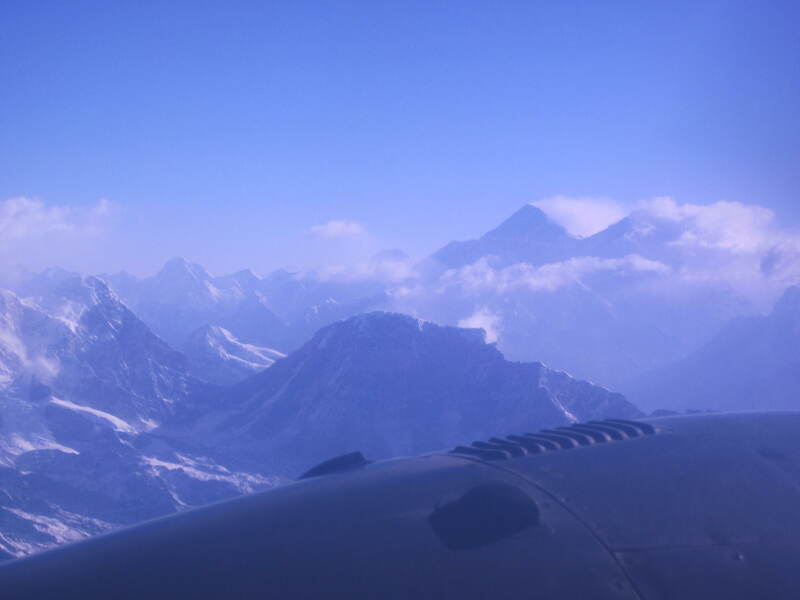 I wanted Stephanie to see some mountains on her brief trip to Nepal so after two nights in Kathmandu, we took a scenic flight for one hour to the North East region of Nepal, for some spectacular views of the Himalayan ranges. As soon as I saw the unmistakeable dark triangle way out in the distance my stomach tightened, as gradually Everest herself came into view. Whilst the bulk of her huge might is hidden behind the Lhotse-Nupste Ridge, she still was a formidable sight with huge amounts of cloud billowing of her Southern Flanks indicating strong winds from the North, which is where I will be approaching from. After the flight we drove 1.5 hours up to the hilltop area of NagerKot, which at an elevation of 1900m is around 800m higher than the city of Kathmandu, has a cooler climate, and boasts some spectacular mountain and hill scenery. Everest herself is even visible on a clear day. We spent the day sleeping and taking walks up to the viewing platform to watch the sunset. Unfortunately the pollution from the valley also affected the view from here, with no rain for some weeks to clear the atmosphere we could not see any mountains. The rest of the climbing team arrives today and tomorrow in Kathmandu. Stephanie departs tomorrow for Singapore which I am not looking forward to. We have had a beautiful time together here in Kathmandu, exploring and spending some much needed quality time together which has been missing over the last few months due to the wedding, training and work travel schedules. We are scheduled to depart Kathmandu on our drive along the friendship highway into Tibet on the 13th April. Spending the first night at Zhangmu (border town between Nepal and Tibet), second night at Nyalam, then two nights at Tingri. These stops are required to allow our bodies to acclimatise to the enormous height gain from Kathmandu at around 1200m, to Everest Basecamp at 5300m. Stay tuned for the next update and you can also follow my journey to date geographically by clicking on the following link below, I am updating this using the SPOT Tracker GPS system, kindly loaned by Ian Mullane who tomorrow sets off on his own adventure in a race to the North Pole, good luck my friend! 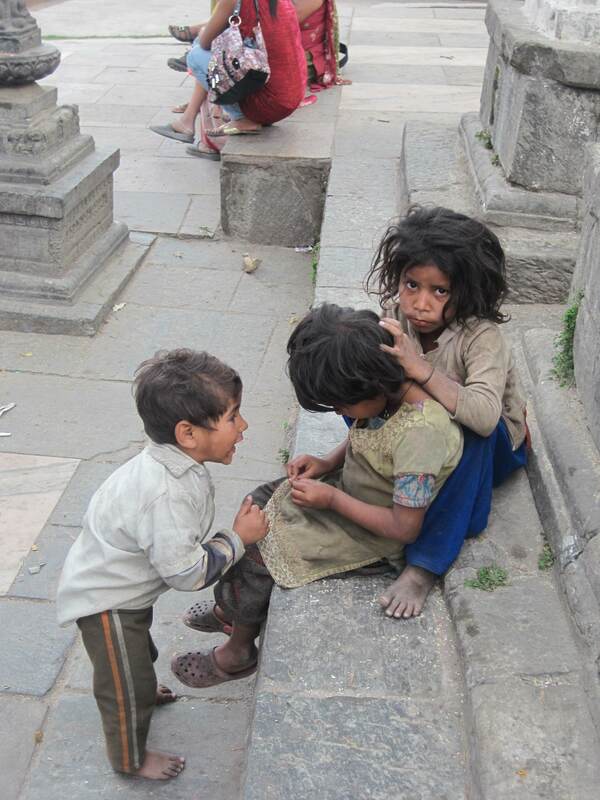 Street kids checking for lice in each others hair. 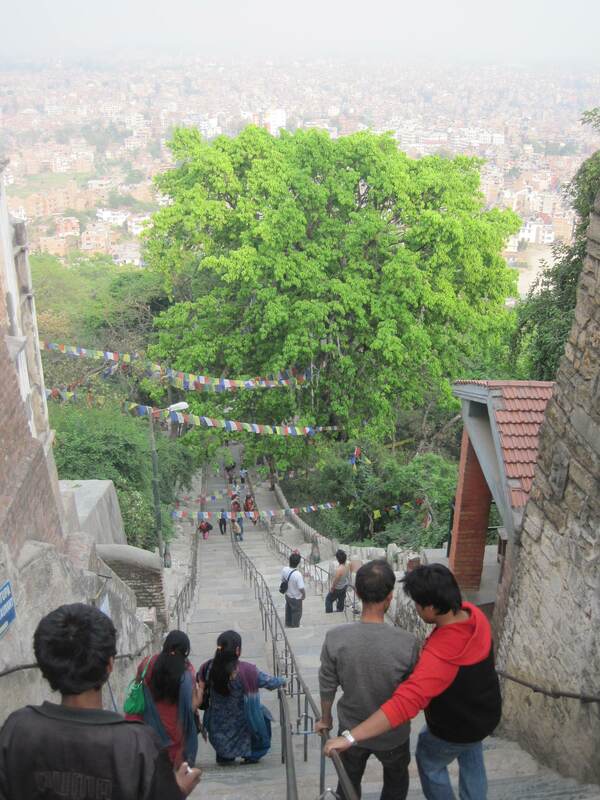 Looking down the steep stairs of Monkey temple. Cloud streams over Mt Everest as seen from the plane. The most revolting river EVER!! Raw sewage and trash... GROSS! 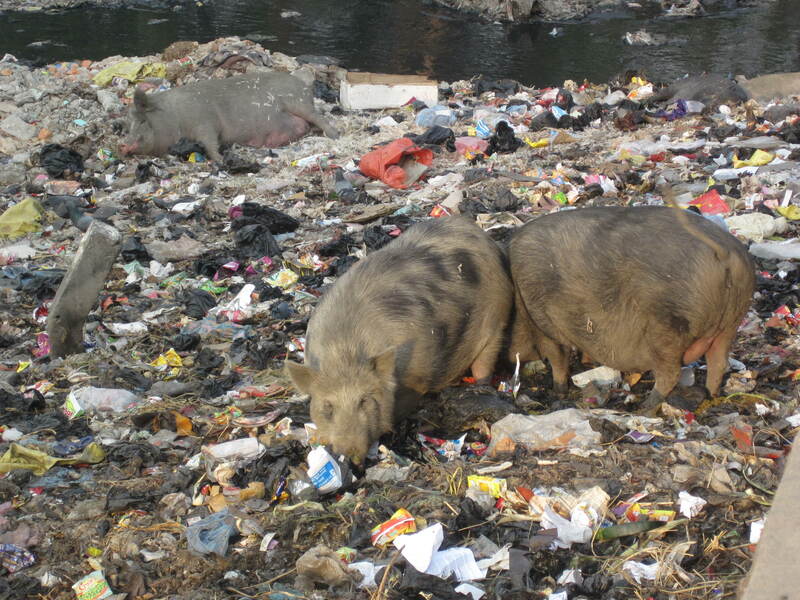 At least the pigs enjoy the rubbish on the river banks. 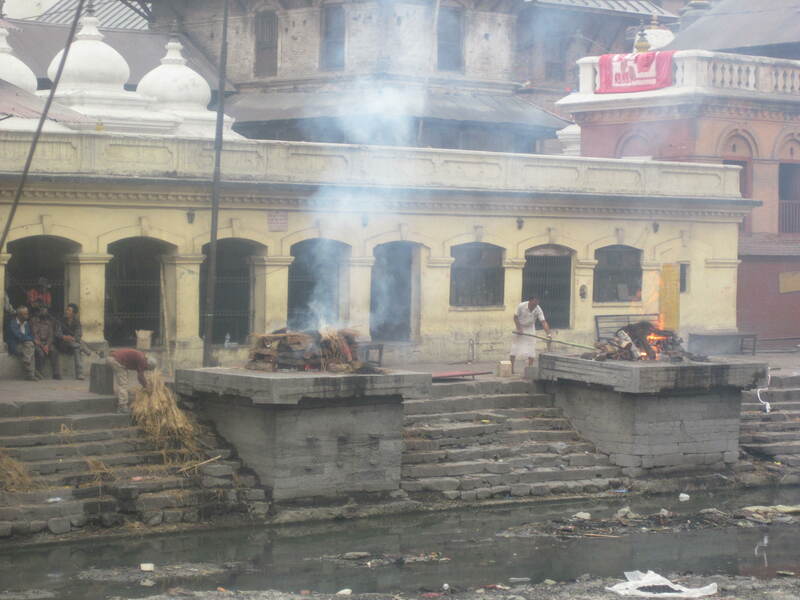 Bodies being cremated publicly in Pashupatinath Hindu temple. Dustbins are useful not for trash but for sheltering from the wind so you can light your HUGE joints! The fishmongers - no refrigeration of course! 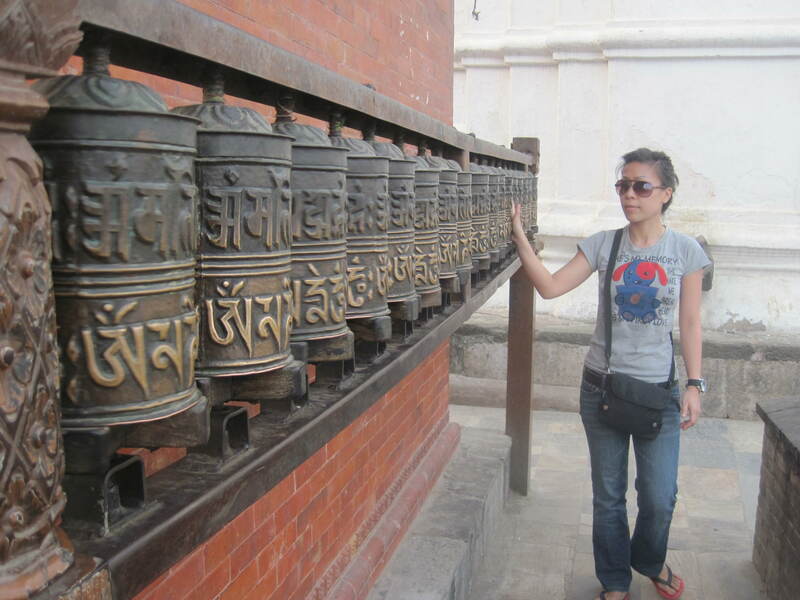 Posted on April 9, 2011, in Everest 2011. Bookmark the permalink. 2 Comments. Nice update. You both made me miss Nepal so much. Its a paradise and regular travelers know it well.